President-elect Donald Trump is pressuring British officials to fight against offshore wind energy systems being developed in Britain. In the past, Trump has fought against offshore wind energy, hoping to close down a project being developed in Scotland. The case made its way to Britain’s highest court, with Trump arguing that the offshore project disrupts the view of one of his gold courses in Aberdeenshire. Now, Trump is calling upon Nigel Farage, leader of the United Kingdom’s Independence Party, to fight against offshore wind energy projects. Trump is reportedly “offended” by the appearance of wind turbines, suggesting that they “sully” Scotland’s beautiful countryside. The President-elect is not alone in this complaint, of course, as others, including British officials, have opposed the development of offshore wind farms for the same reason. Despite this, however, the United Kingdom is home to some of the largest wind farms, both offshore and on. 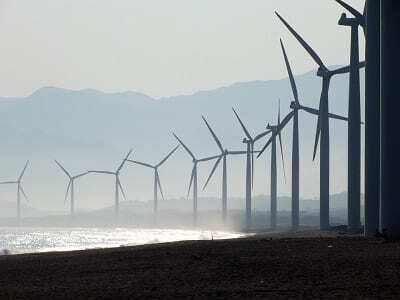 Many of this wind farms have received financial support from the UK government. Environmental advocates have expressed concern regarding Trump’s apparent opposition of offshore wind energy. In the United States, Trump’s views on climate change have been heavily criticized. His disinterest in renewable energy could bring more criticism to his forthcoming administration, especially if Trump becomes more aggressive in fighting offshore wind energy in other countries. Notably, Trump is also lobbying for Farage to become the United Kingdom’s top ambassador to the United States. For foreign leaders to lobby for their own ambassador is generally considered “diplomatically inappropriate.” Typically, foreign countries do not decide who will serve as ambassadors for other countries. Considering Trump’s often controversial stance on environmental issues, lobbying for Farage to serve as ambassador to the United States has attracted criticism from those in the UK. Whether or not Trump will have an impact on who will serve as foreign ambassador to the U.S. or if offshore wind energy systems lose support is currently unknown.